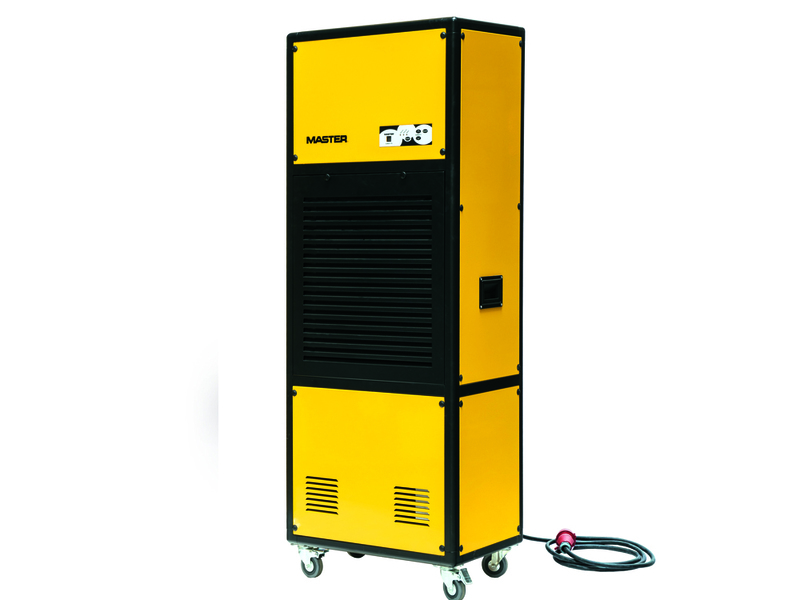 Condensation dehumidifiers with a big air flow for fast and effective dehumidification. Supplied with a powerful and quiet centrifugal fan, big air filter and three phase compressor secured by phase protection. The best for industry. With uncontrolled storage comes the high risk of oxidisation and it is therefore essential to control and reduce humidity. Storage of such equipment as steel at the correct humidity is critical and can often reduce the requirement for additional surface protection systems whilst in storage. Providing the correct environmental conditions to preserve these items is vital and Zoe INTL’s range of powerful dehumidifiers offer the ideal means of preserving and protecting them from humidity damage. They are equally suitable for humidity control in warehouses, castles and historic buildings where excess humidity is a significant problem without a professional dehumidification solution. The high-performance dehumidifiers recirculate the air and physically remove moisture from it. This alleviates the need to continuously reheat incoming air. Not only that, the units convert energy taken out of the room as moisture to provide useful heat to warm the room, accelerating the drying process. Effective dehumidification provides maximum protection in museums and historic buildings where priceless exhibits and artefacts are stored. For example, if the relative humidity is too high, condensation can form on surfaces and mould and rot can set in, and the rising and falling of humidity levels can cause degradation. This can, however, be avoided by maintaining the relative humidity at both correct level, and importantly at a stable level. Their functionality and easy operation make them ideal for large period properties, museums and archives and anywhere where preservation is vital. Typically, as a by-product of the dehumidification process, for every unit of energy that a our dehumidifier consumers, it will convert 2.5 times this amount to useable heat. The potential energy savings are huge. In fact, compared to using heating to try and control humidity levels, cost savings of 500% are not unusual. The units have built in humidity control, so will never waste energy when the correct humidity is reached, and there is no possibility of drying out the space too much. Our dehumidifiers have a flexible design and are fully packaged, easy to install and can operate efficiently over an ambient air temperature range of between 0 and 40°C. Zoe INTL manufacture dehumidifiers in a range of sizes to suit any space. Whatever you need, Zoe INTL, Calorex, Aerial and Master have the solution.